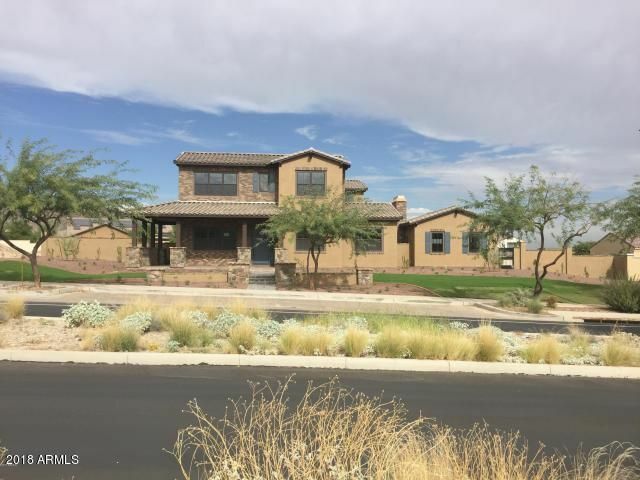 All Buckeye homes currently listed for sale in Buckeye as of 04/19/2019 are shown below. You can change the search criteria at any time by pressing the 'Change Search' button below. If you have any questions or you would like more information about any Buckeye homes for sale or other Buckeye real estate, please contact us and one of our knowledgeable Buckeye REALTORS® would be pleased to assist you. "WOW! 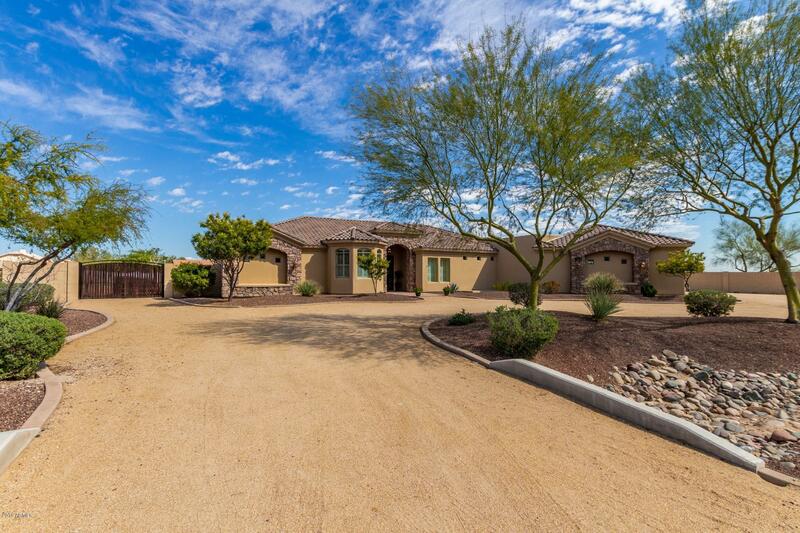 Rare opportunity to own a truly custom home in Verrado. This 6 bedroom, 6 1/2 bathroom home was built by Tom Argue of Argue Custom Homes. 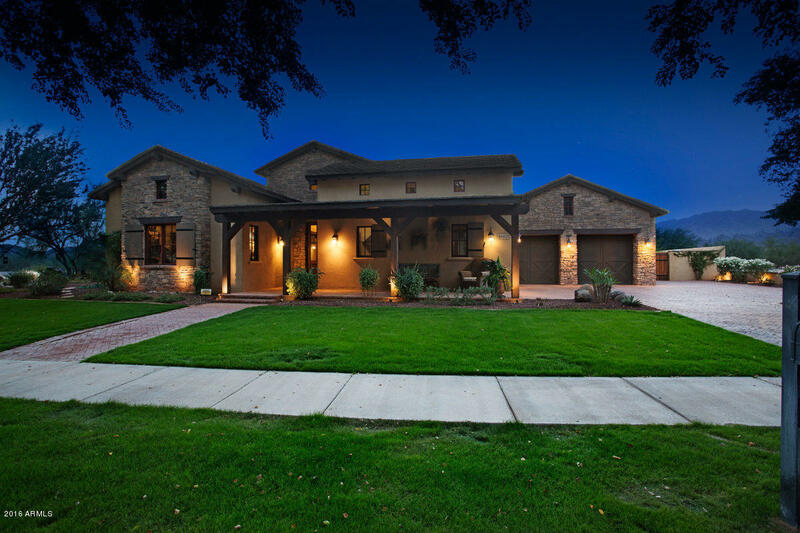 Argue Custom Homes is a multiple time winner of best custom home builder in Phoenix and this home is an amazing example of why! 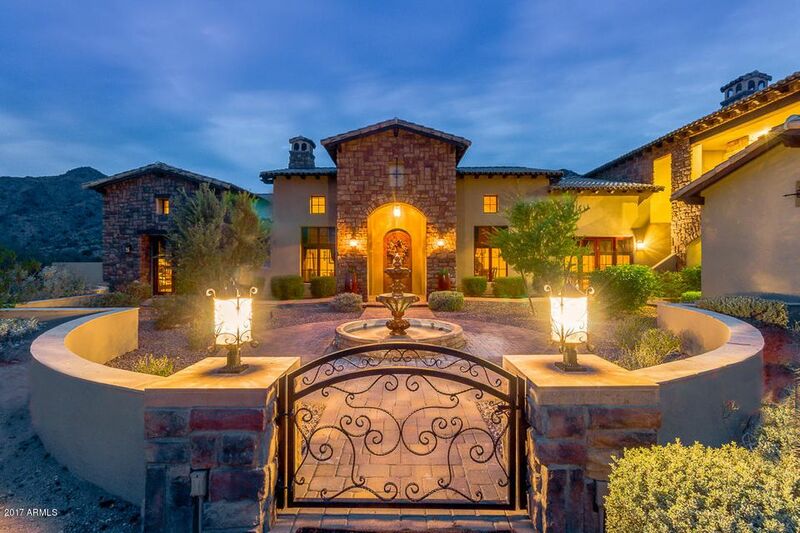 Featured by AZCentral.com as one of 16 million dollar homes in the West Valley, this is truly a unique opportunity! This home features a sound proof home theater, 4 outdoor patios, lighted sport court, formal garden with fountain"
"Gorgeous Mountain & Golf Course Views await you in this beautiful estate home situated in the highly sought after Verrado resort community. 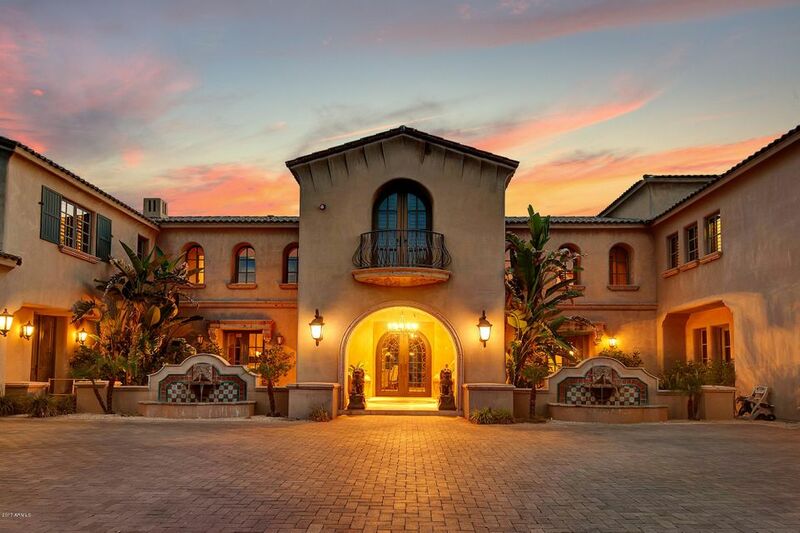 This home is highly appointed with luxury amenities throughout featuring, walk-in wine room, theater, exercise room, gourmet cook's kitchen, lavish master retreat and three spacious en-suite bedrooms. 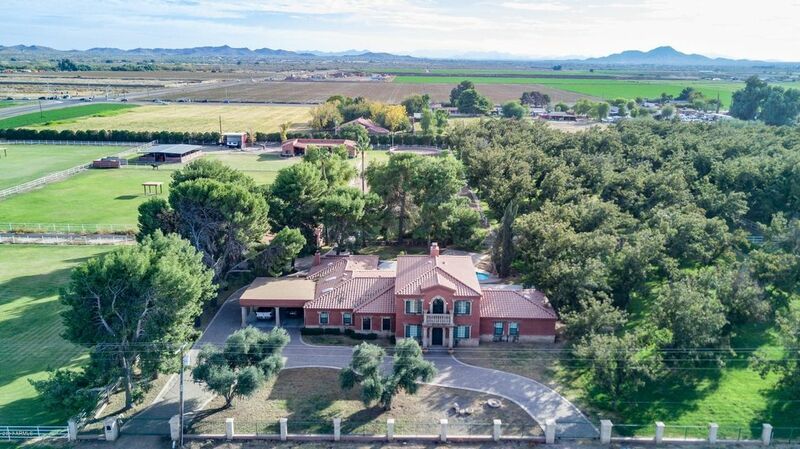 Enjoy year-round outdoor living in the beautiful backyard oasis complete with expansive covered patio, heated pool/spa, water feature, built-in BBQ, fire p"
"Private gated estate on 10.82 irrigated acres of green pasture. This custom home is nestled among huge mature trees and a pecan grove. This home is one of a kind with imported stone pillars, stone siding, hand carved fireplaces on the interior and exterior. Beautiful flooring with natural bamboo and stone. Chef kitchen is complete with stainless steel appliances and built in double refrigerators, all granite countertops with deep sinks. Custom knotty alder cabinets. Laundry room is complete with"
"Luxury 5 bed, 5.5 bath custom home, plus a casita, is located in the award winning community of Verrado. Nestled into the base of the mountain this stunning single level home is one of the only custom homes in Verrado to be near a playground park. It features a grand lighted driveway, 4 car extended garage with tons of storage, vaulted ceilings with beams, speakers throughout the entire house including outside, 4 fireplaces, office/library with double desks and a separate entrance, wet bar with "
"New construction Spanish Colonial home for sale in Verrado, Buckeye, Arizona. Over a hill of SPECTACULAR 360 DEGREE VIEW. Adjacent to Verrado Golf Course. Amazing open floor plan with 10' high ceiling & 14' ceiling in the living room. 2X6 wood frame. 2 Master suites, 1 Guest room and a bedroom with full bathrooms. 4.5 bathrooms for main home plus a Game room upstairs with 2 cover patios and a huge deck with mountain and city views. 802sf Guest house with a kitchen, living room and 1 bedroom. 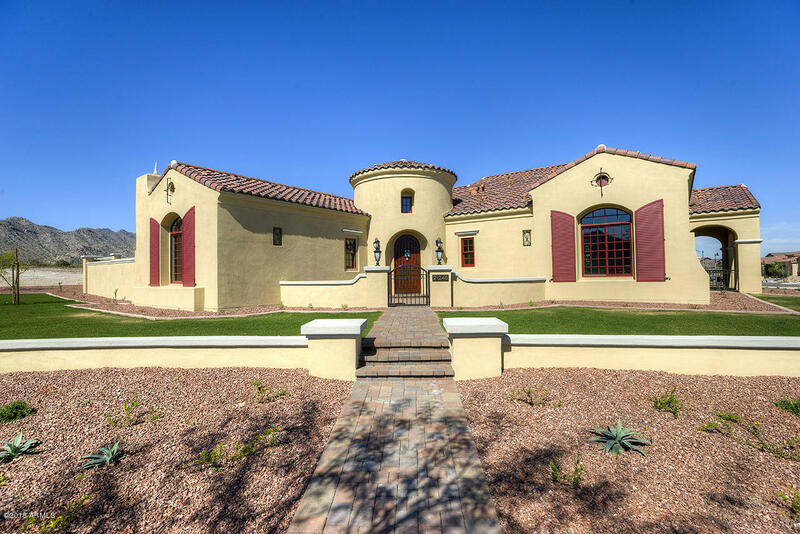 Fir"
"This beautiful Spanish Colonial custom home artfully crafted by Desert Star Homes has it all. The Main House features an open-airy Great Room concept floorplan with over 3,500 sqft, 3 Bed, 2.5 baths, den and a Gourmet Chef's Kitchen with Thermador Appliances. The Main House also showcases plenty of storage with an expansive air conditioned garage space measuring dimensions of 30ft x 42ft in addition to a 2-car garage for daily use. 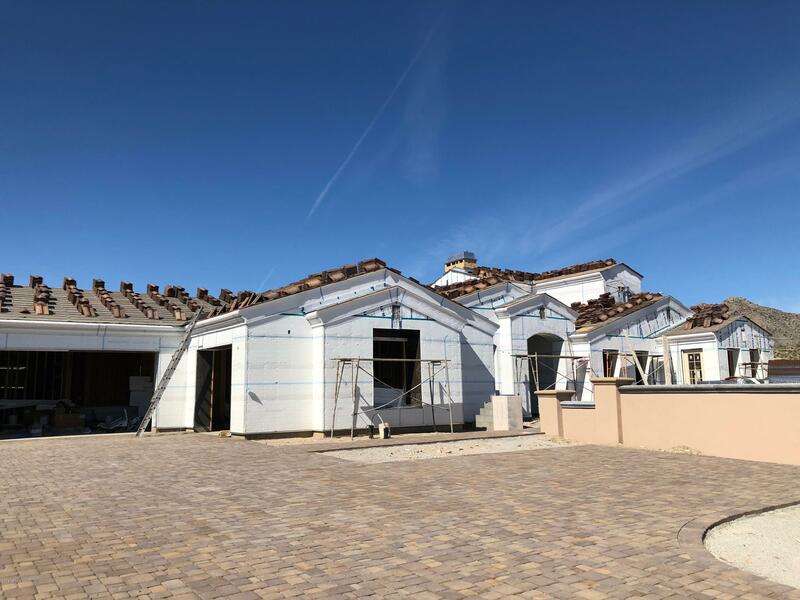 Whether you have cars, toys, trailers or boats this property is "
"An immaculate custom residence featuring the finest quality materials and craftsmanship from Salcito Custom Homes, a renowned custom home builder in Arizona. This 4,600+ sqft home offers an open airy floorplan with split master bedroom, private center courtyard and three guest suites all with their very own walk-in closets and bathroom. Gorgeous hand-scraped hardwood floors flow throughout this sprawling authentic Spanish Territorial Ranch. 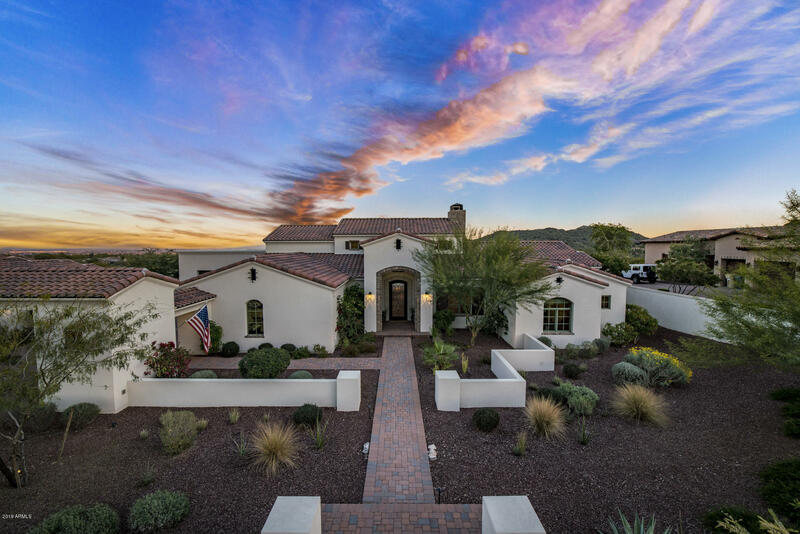 The heart of the home is the exquisite Gourmet Ki"
"Beautifully crafted Spanish Colonial home situated across from one of Verrado's signature parks, Westmont Green. This custom residence features 5,315 sqft of all the high-end amenities you come to expect in a custom home, Gourmet Kitchen with all Viking Stainless Steel Appliances, Travertine tile, dramatic Great Room with large wood beams and tongue and groove ceiling, Wine Room, Media Room, center courtyard, central vacuum, and much more. The backyard was recently upgraded and transformed into "
"Turn Key Horse Farm! 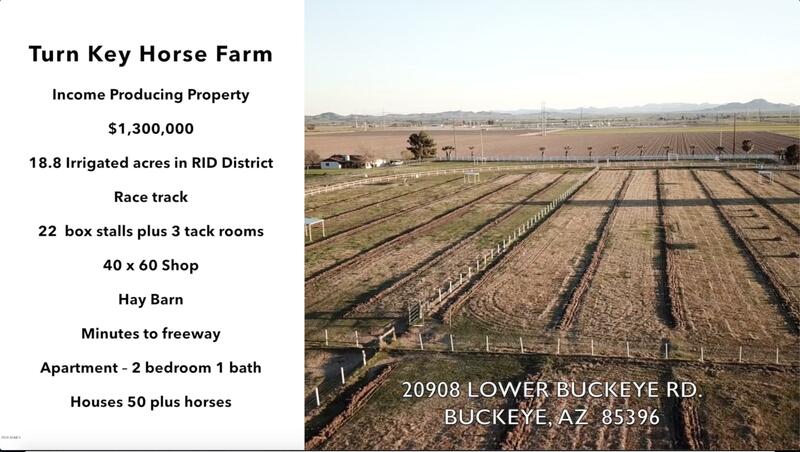 This 18.8 irrigated acres is a short drive from downtown Phoenix and minutes from the I-10 freeway. Many shaded large pastures, shaded dry paddocks, race track, 22 box stalls, 3 tack rooms, 40'x60' shop with 100 amp power, 40'x60' hay barn, RV hookup, and a spacious 2 bedroom apartment.Included is a large round pen with slanted sides for training and/or riding. The pastures have Equaspring automatic waterers and each stall has rubber mats and automatic waterers. Private "
"Gorgeous newly built VIP Custom Home with incredible views and upgrades. Over 34k in monogram kitchen appliances, 11' ceilings with coffers, kerfed interior doors, travertine snail shower, basement with gameroom and 2 bedrooms, upgraded accessories in baths, Portico glazed maple cabinets with full overlay doors and 42'' uppers. 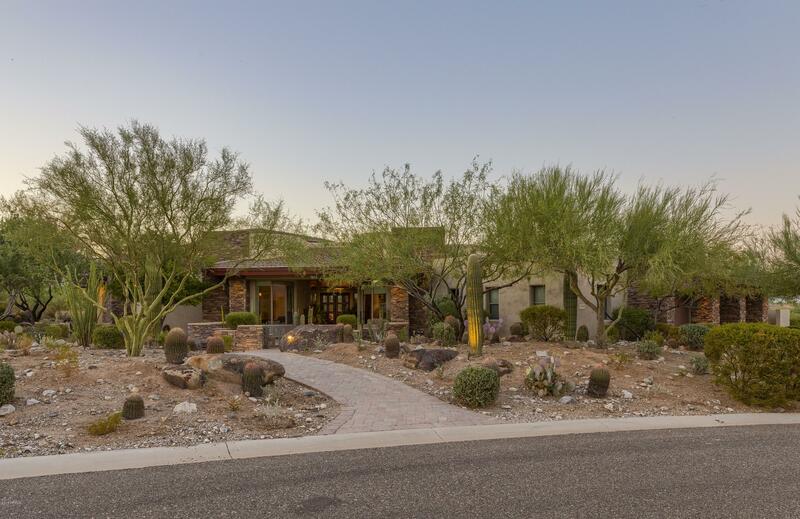 stained concrete, pavers at walk and courtyard, granite tops at ktichen and bath vanities, firesprinklers, lush landscaping with additional allowance for buyer, chandel"
"LOOKING FOR A CUSTOM HOME ON A GOLF COURSE LOT? 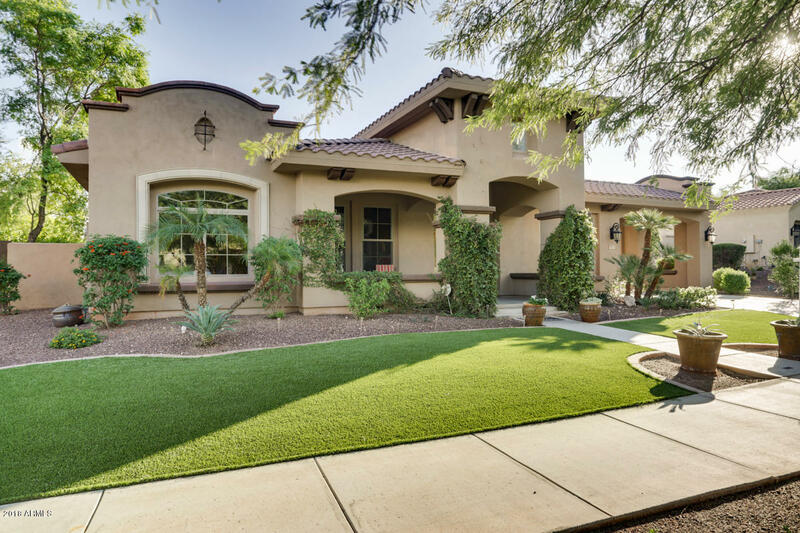 Introducing an amazing opportunity to own your very own 3,600+ sqft single level custom home in Verrado on one of Verrado's SIGNATURE GOLF COURSE HOMESITES. 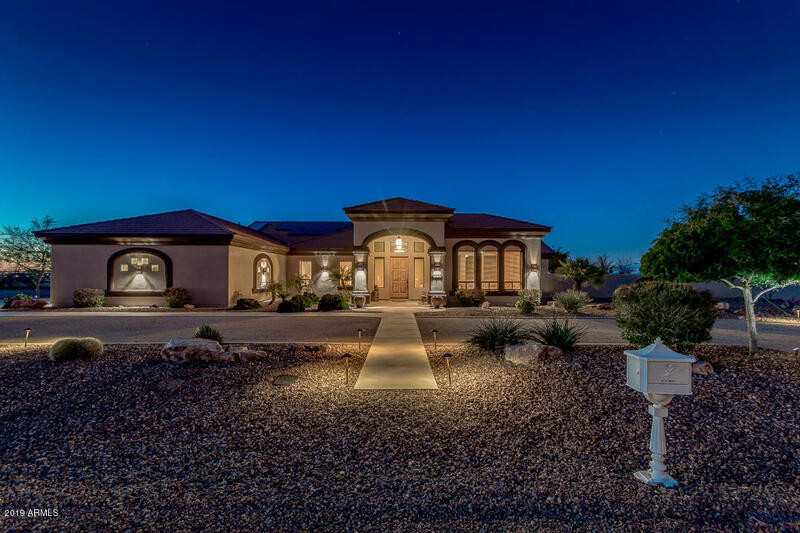 Artfully crafted by Desert Star Homes and meticulously designed by some of the industry's finest. 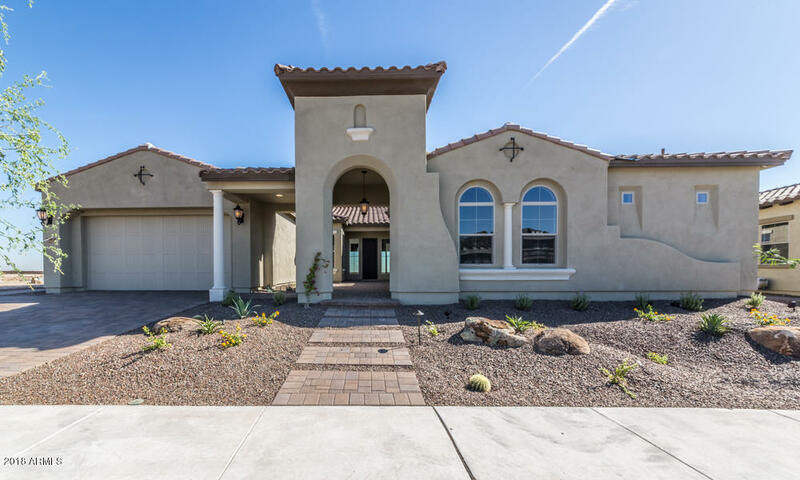 This home spares no attention to detail and will be one of the finest most stunning homes in all of Verrado showcasing true Spanish Colonial architecture featuring an open airy Great Room style flo"
"12.5 ACRES! Great for a home developer. Amazing home at a spectacular price. Complete HORSE FACILITY with 12 COVERED STALLS 20 x 20. 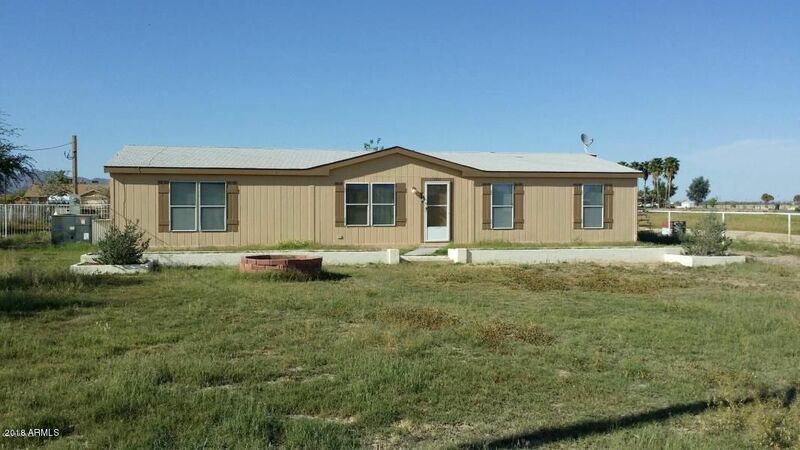 Mature trees on a private drive.Beautiful green grass AWESOME 360 VIEW OF THE WHITE TANK MOUNTAINS.THIS HOME IS A PERFECT COUNTRY GETAWAY!3 BEDROOM 2 BATH AMAZING KITCHEN WITH ISLAND NEW APPLIANCES.LARGE MASTER BATH W/GARDEN TUB AND WALK IN SHOWER. 2 living rooms! 1 CAR GARAGE,SMALL BARN/WORKSHOP. COMPLETELY FENCED WITH PIPE FENCING,3 SEPTIC TANKS, 2 WELLS, 3 HOME "
"Luxury Custom Home. Builder's model with tons of upgrades! 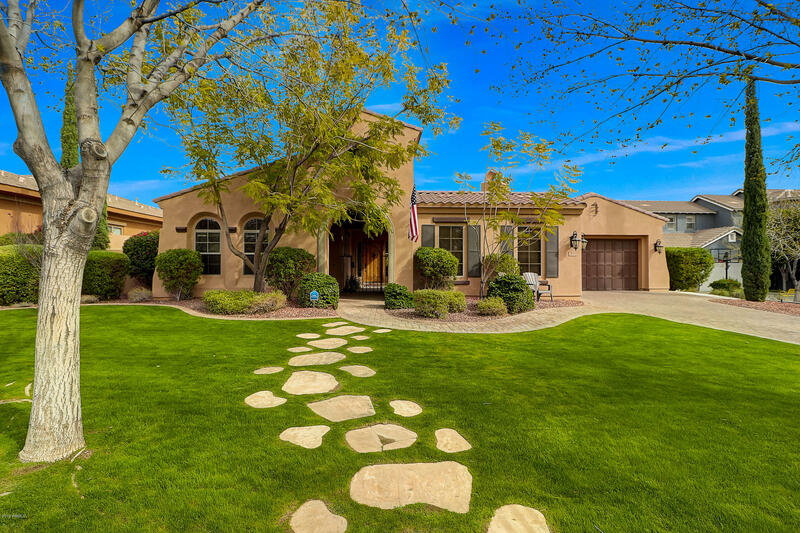 The inviting wrap around porch of this Rural Mediterranean home is perfect for gazing out over the Verrado golf course toward the mountains. Gourmet kitchen with beautiful upgraded cabinets as well as high end appliances. Walk out onto to an over sized patio into a huge backyard or out into the private courtyard with a fireplace. Separate guest quarters downstairs with kitchenette. 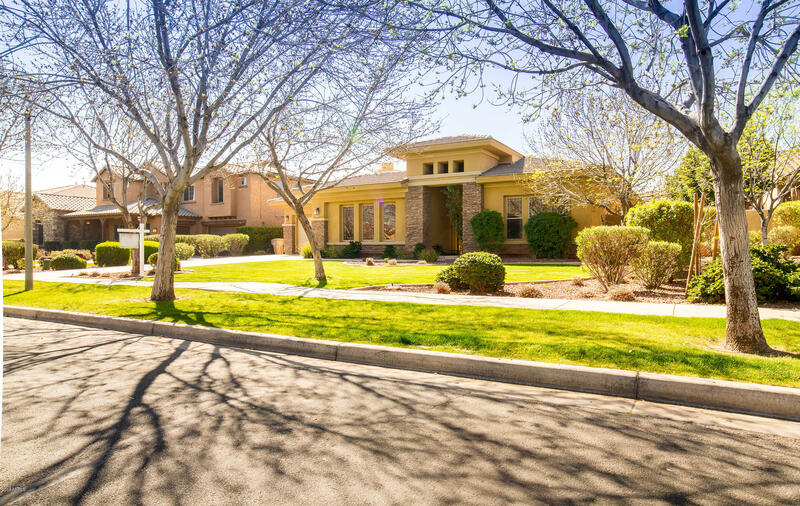 Three bedrooms upstairs with a huge master suite which i"
"Gorgeous Golf Course & Mountain views on the 17th fairway of the prestigious Victory golf course at Verrado. This home is appointed throughout with granite countertops, upgraded cabinetry, ceiling fans, sound system and a modern light and airy neutral palette. Master bedroom features a resort style bath and huge walk-in closet. The split floor plan features two en-suite guest rooms, powder room, separate office/den, and interior workshop/bonus room. Enjoy year round outdoor living from spectac"
"LOOKING FOR WIDE OPEN SPACE AND A LITTLE ELBOW ROOM BETWEEN NEIGHBORS? Introducing an amazing opportunity to build your very own 3,668 sqft single level custom home in Verrado on an expansive 0.87 acre custom homesite with beautiful mountain views. 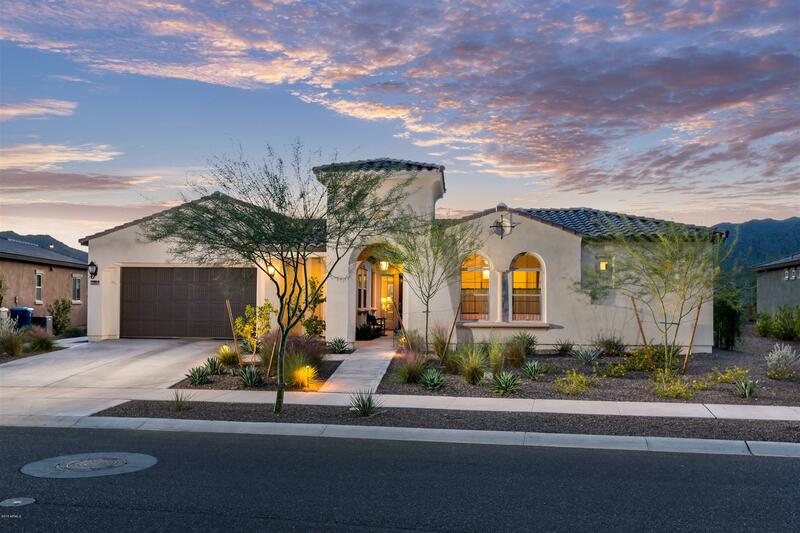 Artfully crafted by Desert Star Homes and meticulously designed by some of the industry's finest. 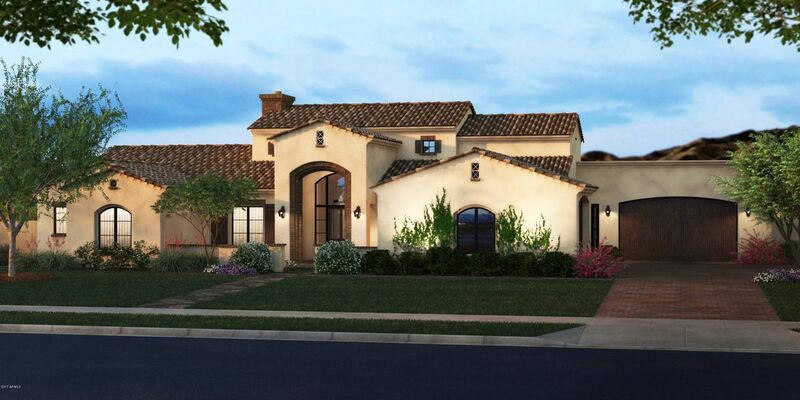 This home spares no attention to detail and will be one of the finest most stunning homes in all of Verrado showcasing true Spanish Colonial architectur"
"This spectacular brand new David Weekley home is must see! The golf course lot is amazing! It even has a view of the city of Phoenix. This lot was a premium and it shows. The Home features over 100k in upgrades. Beautiful finishes. From beautiful Beams in the great room to great lighting through out. Panoramic window/door walls in both the great room and Master suite. The kitchen is a chefs dream. All Stainless appliance, upgraded carrara quartz countertops, 42'' built in refrigerator, huge is"
"Don't miss this incredible opportunity to own a one of a kind beautiful custom built basement home in an upscale horse community! Upon entering this home, you are greeted with gorgeous easy to maintain flooring, cozy fireplace, soothing paint palettes and the open floor concept! The island kitchen boasts granite countertops, SS appliances, plant shelving, large breakfast bar, walkin pantry, sleek finishes/fixtures, 2 wall ovens and warm wood cabinetry. In this home, you will find the completely "
"Beautiful to be built VIP Home. 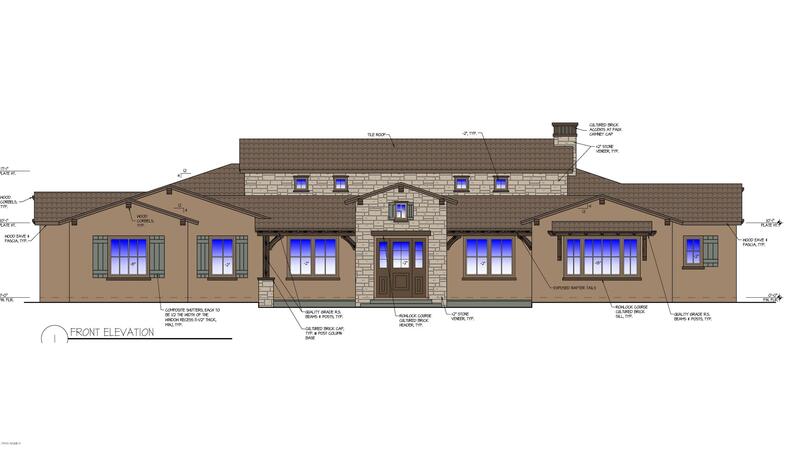 This custom home has been pre-cleared with the HOA design review board and can break ground much sooner. Great room layout with soaring celings up to 17'. Lots of glass that offers views to mountains, golf courses and the lot. Gourmet kitchen with massive counter space. 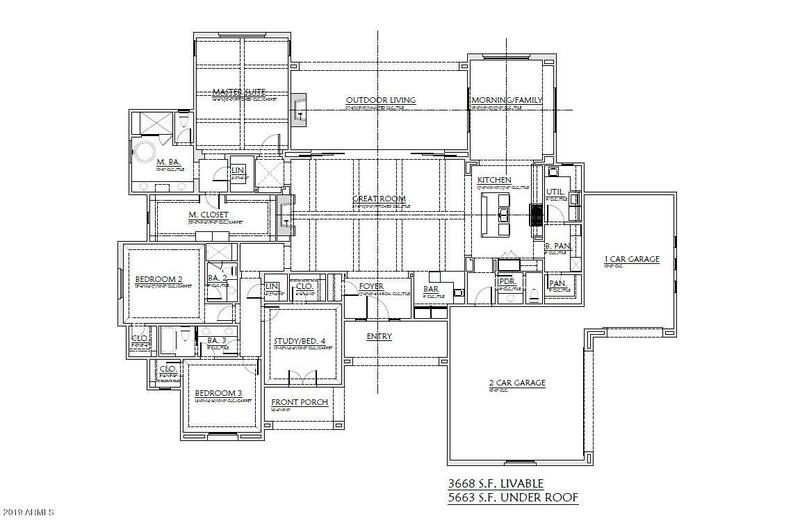 Click on the documents tab to see the floorplan. Contract to be written on builders contract. Several models available to preview VIP's excellent quality construction and particular designs." "Beautiful custom home on one acre with NO HOA on a corner lot now available! This gorgeous 4478 SqFt home features 5 bedrooms and 3 bathrooms all on a single story with views of the White Tank and Estrella Mountains. Upon entering the foyer, notice the large front room, formal dining and atrium just off to the side. The gourmet kitchen features knotty alder cabinets with granite counters, gigantic pantry, 6 burner gas range, double ovens, large island, enormous high bar, recessed lighting, penda"
"MAIN STREET BASEMENT HOME WITH HEATED POOL AND OWNED SOLAR! 5 Bedroom, 3.5 Bathroom TW LEWIS Home on Main Street. Wood Flooring and Tile in All the Right Places, Plantation Shutters Throughout, Courtyard Fireplace, 3 Car Garage with EXTRA hookup for Washing Machine. Backyard Features a Custom Steel and Wood Beam Pergola, Built In Bar w/ Sink, BBQ and Stunning Gas Fireplace. Huge Covered Patio with Tons of Outdoor Lighting.Heated Pool with Water Feature, Gas Fire Pits and Outdoor Lighting & Comme"
"AN ENTERTAINER'S DREAM IN THE MAIN STREET DISTRICT OF VERRADO! THIS SPACIOUS TW LEWIS BASEMENT HOME FEATURES AN INVITING FLOORPLAN & LOTS OF UPGRADES! GOURMET KITCHEN W/ UPGRADED STAGGERED CABINETS, ISLAND, GRANITE COUNTERTOPS, CUSTOM BACKSPLASH & STAINLESS STEEL APPLIANCES. THE SPACIOUS BASEMENT FEATURES A TILED FLOOR LIVING AREA, BAR, 2 BEDROOMS & A FULL BATH PERFECT AS A GAME ROOM, PLAY ROOM, OR MOVIE ROOM. GENEROUS MASTER BEDROOM OFFERS A WALK-IN CLOSET, HIS & HER VANITIES, SOAKING TUB & SNA"
"OWNER/AGENT - TW LEWIS BASEMENT HOME - SUBMIT ALL OFFERS!! 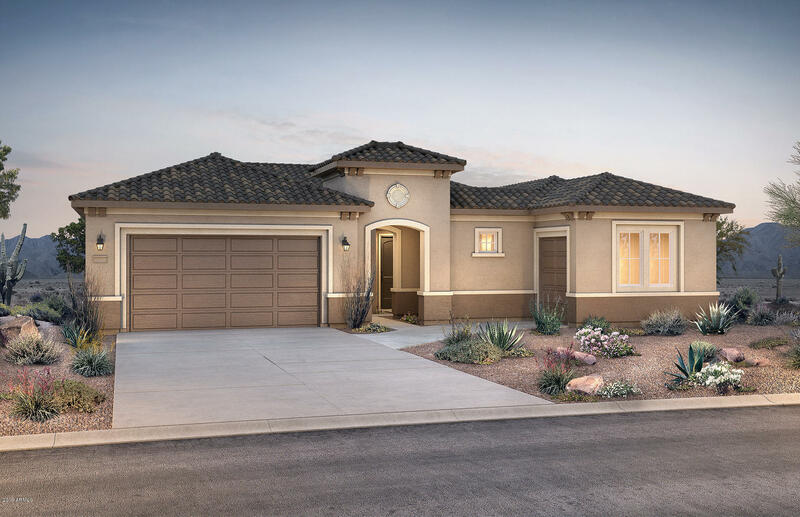 The popular Mirada Plan 2150 - Move-in ready. Home was completely/professionally renovated in mid-2015 inside and out. 3 brand new (2018) TRANE A/C units. Two of the Five Bedrooms and Bath (Bedrooms 2 & 3 and Bath 2) were converted into a home office which could also be used as a Casita. See list of upgrades and floor plan in documents tab. Buyer to verify all relevant information and square footage. DISCLOSURE: Seller is a licens"
"This home features 2 bedrooms, 2 bathrooms and a den, in 2,574 square feet of living space. Options includes a 2' garage extension, an exterior fireplace on the rear patio, paver walkway and driveway, a golf cart garage, bow window in the cafe and owner's suite. Inside you will find, a den, upgraded kitchen cabinets, granite counter tops, stainless steel appliances including, cook top, canopy hood, micro/oven combo, dishwasher and refrigerator. This house is a must see." 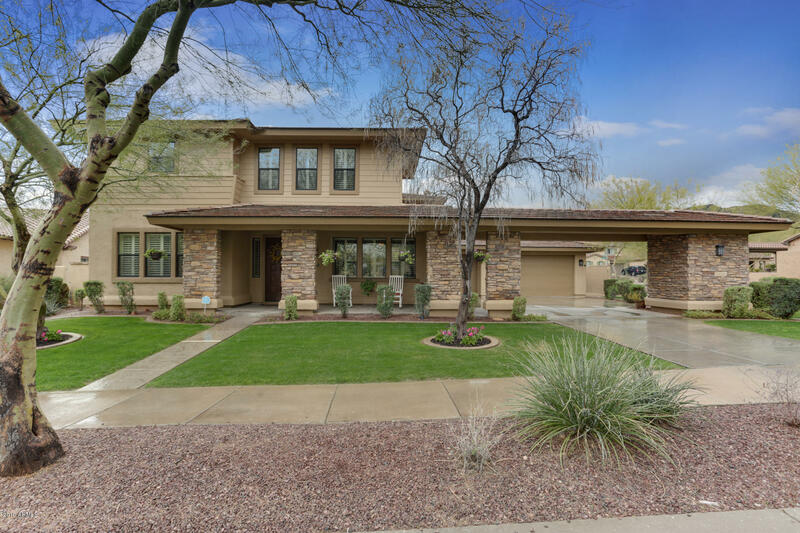 "Beautiful and tasteful - this Cachet Home in Verrado's quiet and exclusive 'Vickery Park' neighborhood is surrounded by Verrado Golf Club and sits facing a nice park. The home - from the outside to inside - you will find attention to detail and customization. The large front porch welcomes you, a grand entrance with formal living on one side and spacious downstairs guest suite on the other. A formal fining room opens to a private courtyard with small pergola, perfect for entertainment or morning"
Choose a community below to view homes, condos and Real Estate for sale. Click here to learn more about . We'll email you when we find properties that match your needs! Receive notifications of New Listings & Price Changes.